Spumante WinesPonte Prosecco eloquently expresses its elegant, vivacious personality in DOCG versions, both Brut and Extra Dry, and the DOC vintage labels Extra Dry and Millesimato. Our Prosecco wines, with fine perlage and good aromatic persistence, are produced with premium quality selected grapes from the top winemaking areas in the province of Treviso. Suited to any occasion, they have always been a resounding success with the public. The Ponte spumante wine range is modern and enjoyable, produced with grapes from our own region which undergo soft pressing and temperature-controlled fermentation. These fruity, vivacious, sweet and subtle spumante wines train the palate to appreciate taste and quality and are the perfect choice to accompany and celebrate special occasions. Still WinesThree labels – two whites and a red – all eloquently express our region: Pinot Grigio, Pinot Grigio ramato and Merlot. Our Pinot Grigio with its fruity, subtle and complex bouquet is also available in a “ramato” rosé version, with a modern palate and intense aromas of roses and red apples. Our Merlot has a classic vinous bouquet with subtle herbaceous notes and a lively, sapid palate with gentle tannins. 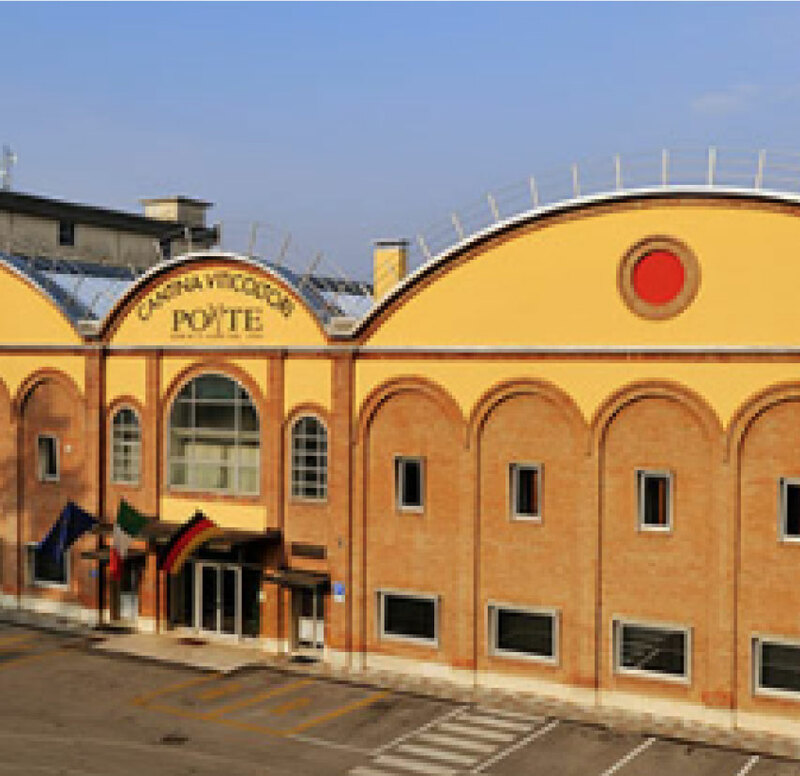 The authenticity of Ponte still wines conveys all the winemaking tradition of the Veneto region. Sparkling WinesWe offer a range of sparkling wines that are easy and unpretentious, perfect for pleasing the palate of younger wine drinkers. Light and subtle, our sparkling white wines and Prosecco made from white and Glera grapes express a strong bond with the local territory. On the palate, the good aromatic balance of flavours offers a pleasantly refreshing sensation. Ponte has five wine shops across the provinces of Treviso and Venice. Five points of sale that have gradually become real reference points, selling not just our wines, but also a selection of regional and national produce. All accompanied by the care and professionalism of our skilled staff, always on hand to assist clients in their choice. Opened in 1994, adjacent to the historical premises of the winery, just outside the centre of Ponte di Piave in the direction of Oderzo. I declare that I have read, understood and acquired the privacy information pursuant to art. 13 of the EU Regulation 2016/679. I consent to the processing of personal data for the purpose of communications of a commercial, advertising and illustrative nature of the products and services by the Data Controller.